A few weeks ago, I mentioned that one of our readers founded Dapper Classics, a company dedicated to supplying men with high-quality over-the-calf socks. Over-the-calfs, as you may know, have the advantage of not slipping down your leg over the course of a day, so your pale, bare calves won’t be exposed when you sit down. That’s one of the quickest ways to ruin a well-tailored look, in my opinion. 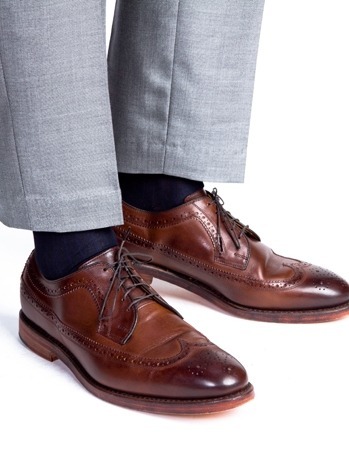 Mid-calf socks are acceptable with jeans, and no-show socks are fine with shorts, but with anything like a coat and tie, there should be no other option but over-the-calf. Harry, the company’s founder, sent me a few of their solid navy socks and one pin dot. All were made in North Carolina by a third-generation, family owned mill. A nice distinction for those who care about American made goods, but I was mostly concerned about their products’ construction. 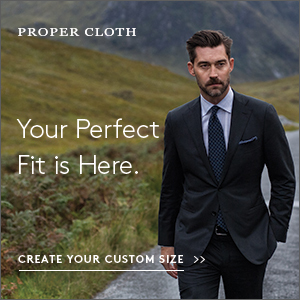 On the one hand, 65% of their socks’ fabric is made from mercerized cotton; which is good. Mercerization is a chemical process that increases cotton’s luster, strength, affinity to dye, and resistance to mildew. On the other, the rest of the materials are synthetic – mostly spandex, but also a little bit of nylon. Some synthetic material is necessary for socks to retain their shape, but over a certain point, they can become less durable. 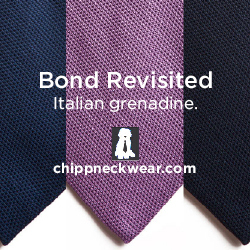 Not so, at least for the time being, with Dapper Classics. I’ve worn and put these through the wash about ten times, which is more than the number of times in took for my Gold Toes to start breaking around the cuffs. 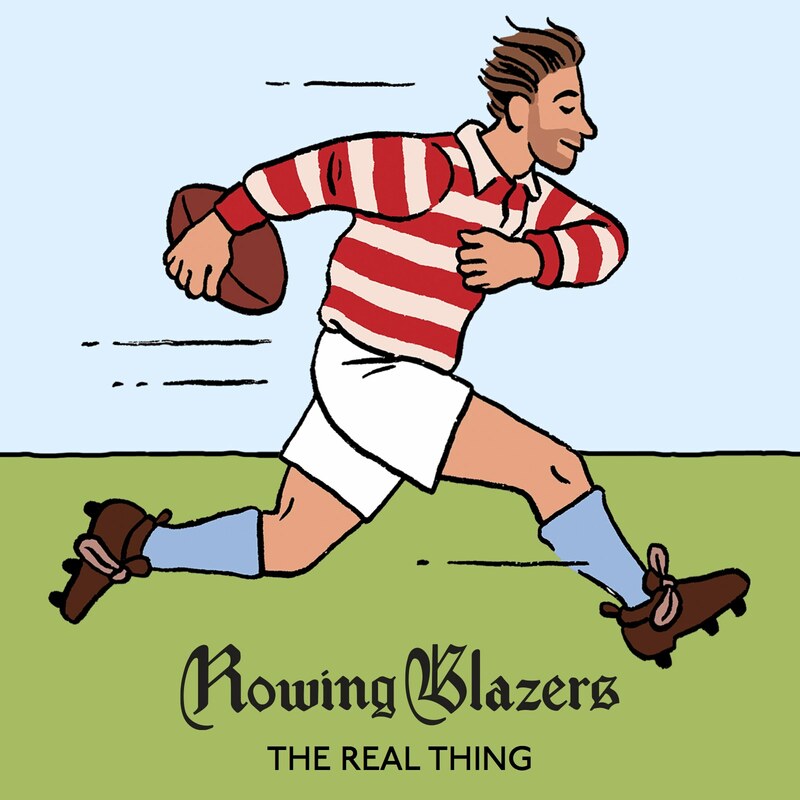 These Dapper Classics, however, look as good as the day they arrived. The real advantage, however, is in how cool they wear. 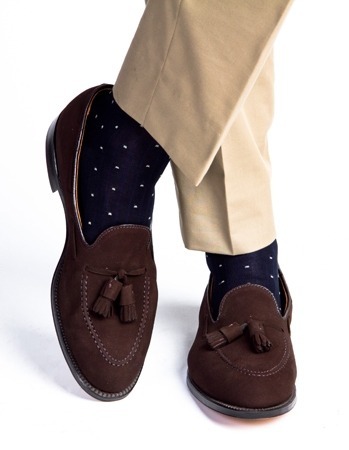 Dapper Classic’s socks are made on a 188-needle machine, which makes them nicely thin and smooth. The weave also feels quite open, so much so that if you spread your toes and wiggle your feet, you can feel the air whiffing through. These seem to be more breathable than the cotton socks I’ve worn from current leading brands, such as Marcoliani, Bresciani, and Pantherella. They’re also quite comfortable around the calves, which is the main reason why I’ve avoided Gold Toe. Those come in at about $5 a pair, which is considerably less than the ~$25 that Marcoliani and Bresciani charge, but they put a deathly grip on my legs and leave them itchy at the end of the day. My only gripe with Dapper Classics that their pin dots aren’t as well made as they could be. After a few washes, the dots started to fuzz. I’ve found this to happen on some of my other pin dots as well, namely those from Pantherella. In fact, Marcoliani’s pin dots are the only ones I’ve found to hold up well over time. For what it’s worth, however, Harry at Dapper Classics tells me they’re aware of this problem and are working with the manufacturer to fix it. This is a young company, after all, just two months old, so a few bumps on the road are to be expected. 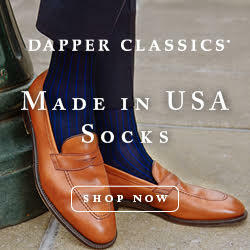 Dapper Classics sells their socks for an even $20, with free shipping included. That’s a few bucks less than the current leading brands, and are seemingly just as respectable in quality. As I said, they also have the advantage of wearing cooler, which can be a blessing for men who are prone to getting sweaty feet on hot days. Harry says they’re also working on a 80/20 merino wool range that will retail around $22. It’s nice when I’m able to recommend something on its quality, and not just price, but it’s best when I can recommend something because of both. I’m rather pleased to say that I’m able to do that here.